All of these recipes are collected from family and friends. "Life is short, eat dessert first". Beth ! I am just finding this book ~ great recipes ! Thank you for adding some of mine as well !!!! Perfect ! My recent order of six copies of "Some Of My Favorite Recipes 2015" just arrived! I do love the smaller size books without the plastic binder, and the photographs are clear. It will make a nice gift for friends and family. They did take ten days from the time I got the notice that they were shipped; but they came all the way from The Netherlands. Thank you Just A Pinch! Andy, I agree! I am saving the cookbook for family members and I'm thinking perhaps one of my grandchildren might appreciate a cookbook since he's moving to the city and sharing an apartment with two others while going off to college. He's capable of cooking for himself, as he works in a restaurant where I do also. They've had him help prep food and work a grill and fry-o-later, not real home cooking. I would love some help putting together the right kind of recipes for a novice cook. Awe, it's my pleasure to include your great recipes! Thank you all, and I have enjoyed knowing all of you through Just A Pinch! What a great collection Beth. It's an honor to have you include my recipe! Beth thanks for posting my recipe to your collection of favorite recipes..hugs on a beautiful book. 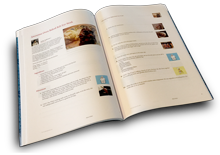 Good recipes thank you for including one of mine. Thanks for including some of my recipes, Beth! So glad you liked them. =) Have a wonderful day!